I often get asked about “new math.” What is it? How do you teach it? How are our kids doing? My answer is that there is no such thing as new math. Math has been the same for a very long time and we haven’t changed a thing. 4 plus 4 is 8 and always will be and 3 times 3 is 9 and always will be. However, some things are different about math class. We do know more about how students learn math and what makes a good mathematician. Here are three important ideas to consider about math learning from Dr. Jo Boaler, Professor of Mathematics Education at Stanford University. Anyone can learn math at a high level. The idea that some of us just aren’t “math people” is just not true. Moreover, there is research to suggest that when we talk about math in a negative manner and when we t alk about our negative experiences with math in front of our children that message sticks and actually affects our children’s math performance. The impact of negative math talk is even more dramatic when mothers speak to their daughters negatively about math. Mistakes grow our brains. It has been discovered that when we make mistakes, synapsis in our brain fire. Synapsis fire when we are learning. Firing synapsis grow the connections in our brains. Synapsis are firing when we make mistakes, even when we don’t realize we are making mistakes! So why do synapsis fire when we are making mistakes? At this point, the theory is that the brain grows when we make a mistake, even if we are not aware of it, because it is a time of struggle and the times when we struggle and are challenged are the times for brain growth. Speed is not important. Great mathematicians think deeply not quickly. Having an understanding of number sense trumps speed every time! When we focus on speed we actually do more harm than good, as equating speed with skill increases math anxiety and negative attitudes towards math. However, we do want our students to have some degree of fluency as when our students are not bogged down in working out calculations they are able to make connections and solve complex problems. We must be mindful in how we balance improving students’ fact fluency with what we know about how math anxiety develops. 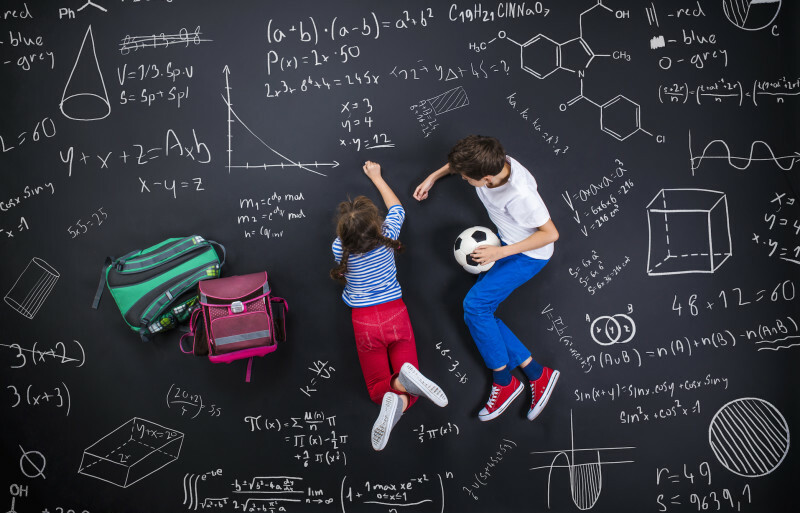 Math involves creativity, imagination, and is a very visual subject. Math is a very open-ended subject that is much more than simple arithmetic. It is important that our students are aware of the many aspects involved in mathematics. You will often hear teachers talk about number sense. Number sense is a student’s ability to think flexibly about numbers. This is what is new about how we teach math. Rather than only teaching one procedure for solving a problem we teach students a number of possible strategies to tackle a problem. We want students to rely less on memorization and more on understanding why and how to think mathematically. Eddie Gray & David Tall are two British researchers who worked with students, aged 7 to 13, who had been nominated by their teachers as being low, middle or high achieving students. All of the students were given number problems, such as adding or subtracting two numbers. 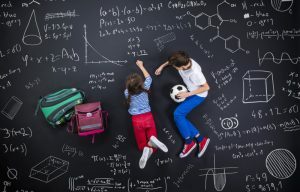 The researchers found an important difference between the low and high achieving students – the high achieving students solved the questions by using what is known as number sense – they interacted with the numbers flexibly and conceptually. The low achieving students used no number sense and seemed to believe that their role was to recall and use a standard method even when this was difficult to do. For example, when students were given a problem such as 21-16 the high achieving students changed the numbers into 20 -15 but the low achieving students counted backwards, starting at 21 and counting down, which is extremely difficult to do. After extensive study of the different strategies the students used the researchers concluded that the difference between high and low achieving students was not that the low achieving students knew less mathematics, but that they were interacting with mathematics differently. Instead of approaching numbers with flexibility and using ‘number sense’ they seemed to cling to formal procedures they had learned, using them very precisely, not abandoning them even when it made sense to do so. The low achievers did not know less but they did not use numbers flexibly – probably because they had been set on the wrong path, from an early age, of trying to memorize methods and number facts instead of interacting with numbers flexibly (Boaler, 2009). Things have changed in math class because we understand more about how our brains learn. Another example of how ideas about math have changed is that we now know that using our fingers in math helps us with our calculations. Researchers analyzed a specific region of our brain that is dedicated to the perception and representation of fingers known as the somatosensory finger area. What they believe is that using our fingers helps to activate this area of the brain and even after students no longer use their fingers to calculate answers this area is activated. We no longer discourage students from using their fingers or think it is “babyish” to do so. So while math itself has not changed, we do know so much more about how we learn math and this understanding is filtering into our classrooms. Fortunately the excitement about math is strong at West Bay, just last week we had over 100 students from grade 3-7 writing the national Mathematica Centrum math contests, a very challenging and ambitious task!